When I asked for suggestions for today’s title, my companions put forward the above. Democratically, we voted on the title and the decision was unanimous. Lars-Ola said that all our decisions must be democratic because we are in the Democratic Republic of Congo. Applied democracy may not be common among those in power in this country. But no matter who exercises his power in Congo, the rain came today. It is fortunate that no man can control the weather. I believe that we got 50 mm of rain over a period of a few hours, and also at the Nsanda fields, it has been raining abundantly. 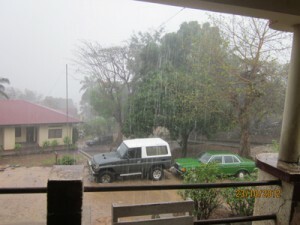 It has rained almost all day. Clement and Jima was out picking pili-pili. They got soaking wet before they could come under cover. 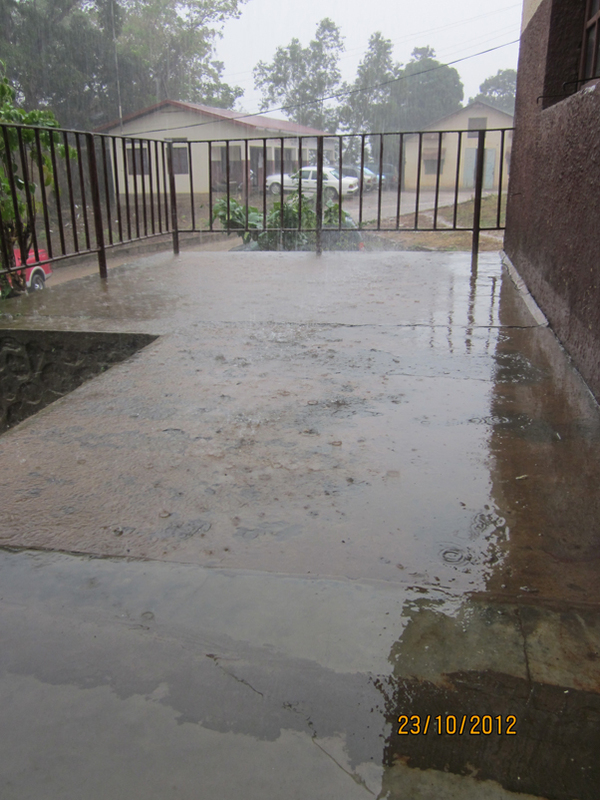 The rain is eagerly awaited, finally the plants will begin to grow. At 25 – 30 degrees C and rain they will grow like mad. 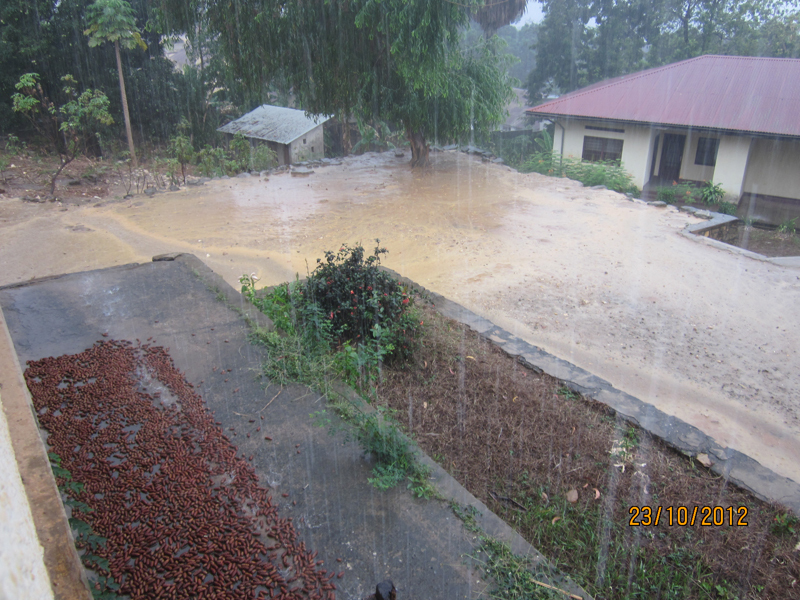 The small rivulets of the many valleys here in Matadi now became violent rapids. Most garbage and waste that had been accumulated during the dry season now got momentum and certainly, many of the streams empty their waste in the Congo river. 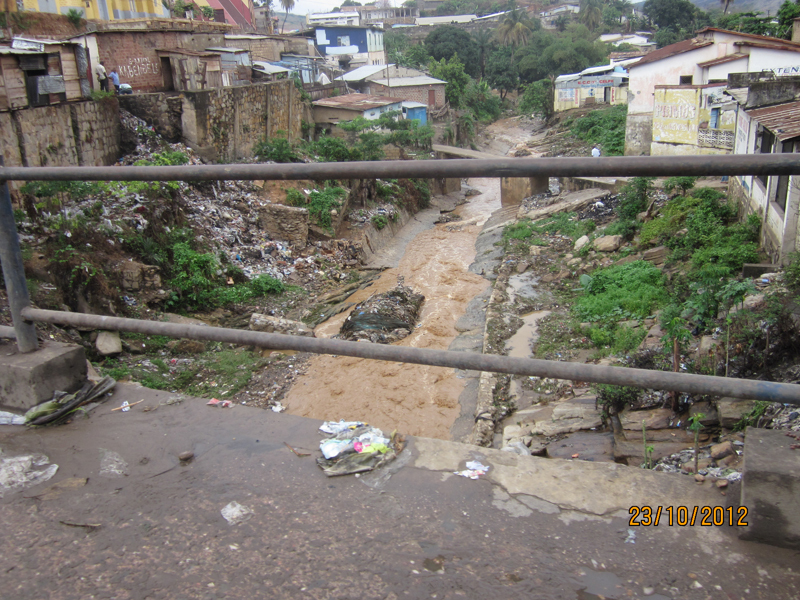 Other streams leave the garbage in droves in the streets, and we cruised between some of them on our way to dinner. Waste management is an important thing. We hope that Boras will be able to export their knowledge of waste management to the three cities Luozi, Kimpese and Matadi. Although it is certainly more expensive to have garbage trucks handling the transportation of waste compared to letting nature take care of it, the cities would be much nicer and cleaner. At 9 a.m. we started the second day of training as it should be, with a prayer. Then, some of them reported their homework, the production estimate. Samy reported his paint manufacturing and when we compared his manufacturing costs with the competitors, his profitability seemed good. Lelo has a farm of 35 acres. On 15 acres she usually grows cassava, soybean, corn, peanuts and bananas. She reported an estimate of a banana plantation of 1 hectare with 200 banana trees. She figured she would get 220 banana stems. She had made a well-implemented specification on the various stages of land preparation and planting to harvest. I wanted her to specify a price per kilo, but she preferred to report the banana stems as a result, and we had to leave it at that. Simon was supposed to make a spreadsheet on his taxi business, but he is no natural friend of calculations. He rather wanted to wet his index finger, hold it up and feel what way the wind is blowing. Myriam took special care of him and got him back on track. I attended the training until the coffee break at halv-time. 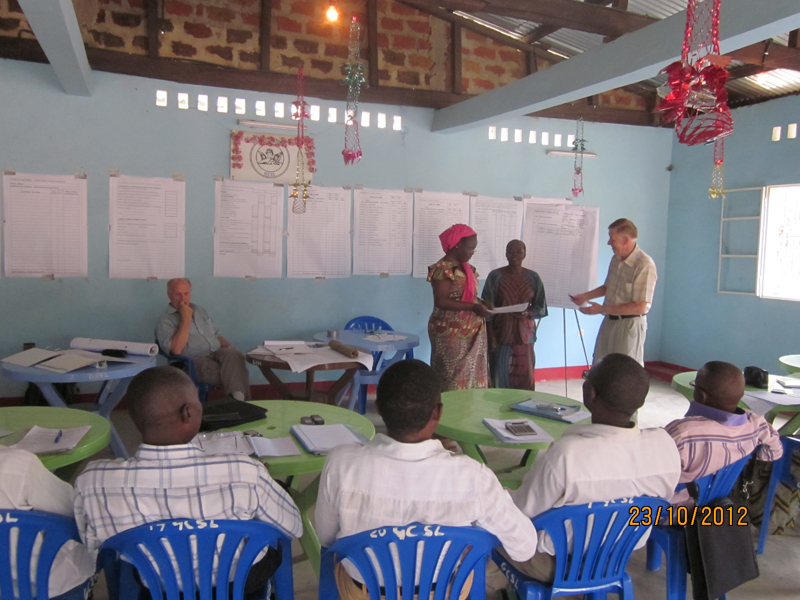 Bernt and Lennart led the second part of the training. They talked about the characteristics of an entrepreneur and the challenges you meet as an entrepreneur, then they went on with the sales budget and the investment calculation. They met a lot of interest from the participants, they did not want to stop when the time was out. They had so many questions they wanted answered. At home, I dealt with paperwork and prepared agreements we will sign before we leave for Sweden. At 5 p.m. we had board meeting in MSG, an extra one. We were not quite the full strength but full quorum. It felt good to have a board meeting here. We went through the details of the container delivery and the solar cell lights. We talked about how to deal with contractors who say one thing and do something completely different. Luckily, it’s only a few who are causing trouble and lots of work. We have learned to be more careful when granting loans. Some will not get any loan, they are not mature to handle it, but most Congolese are honest and want to do the right thing, that’s our experience. Väntar på en anteckning om Samuel!